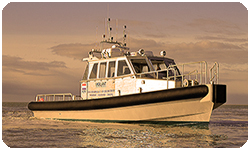 Our fleet consists of multiple multifunctional vessels. Due to its low draft and high speed, our vessels are able to reach almost any area within a short time. Passengers travel in comfort within the heated accommodations. 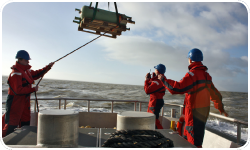 Payloads and luggage are easily loaded and discharged from the aft deck. The vessels we operate comply with the latest law and regulation, and therefore safety for passengers, cargo and the environment is guaranteed.